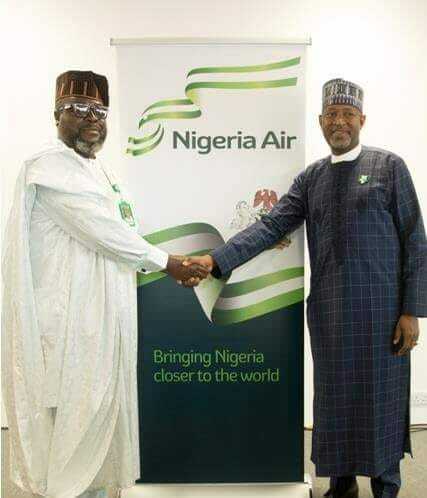 The minister of State for Aviation Senator Hadi Sirika yesterday made some clarifications following controversies surrounding the newly unveiled name and logo of national carrier; Nigeria Air. Responding to questions about the national carrier, which was launched on Wednesday, July 18, Sirika said the government was only providing a startup capital for the airline. Sirika, in a statement in Abuja by the ministry’s Deputy Director of Media and Public Affairs, James Odaudu, said: “The government is not funding the entire project. It’s just providing startup capital in the form of an upfront grant/viability gap funding. Sirika said the company’s shares would be sold through an initial public offering after which the government will own five per cent equity. “The government will retain only five per cent equity, the list of shareholders then will be available to SEC and the Nigerian Stock Exchange.